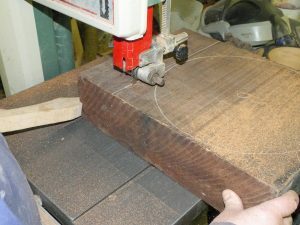 A customer came to us with two small and one large piece of Honduras Mahogany they have had in their garage for about 25 years. 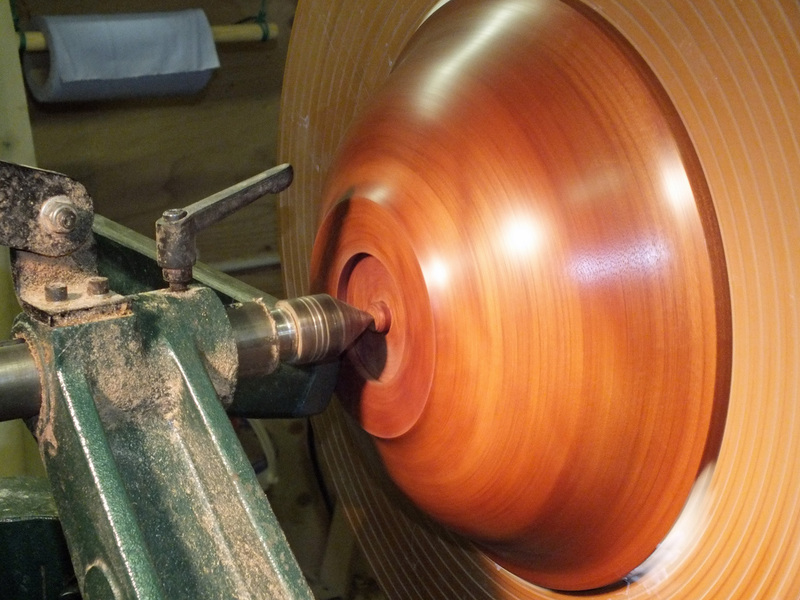 This is beautiful timber and quite rare. 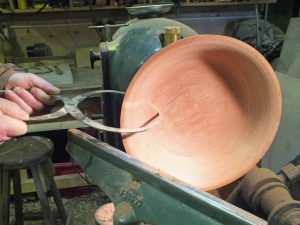 It was decided that Michael would turn as big a bowl as he could from the large piece and then a couple of smaller pieces from the other bits for other members of the family. 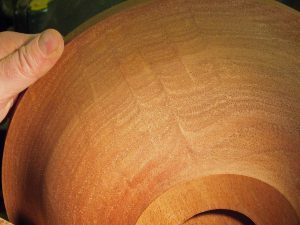 The customer browsed around the gallery looking at different bowls to help her decide on a shape she would like for the bowl. 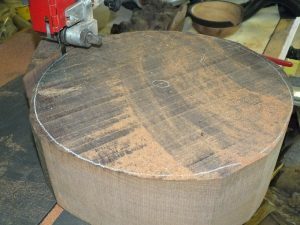 The Mahogany was in excellent condition, but being very dry Michael used his respiratory filter mask whenever working on it. 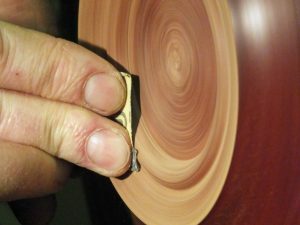 You can see in some of the pictures the dust. He began by working on the larger piece which was an odd shape. 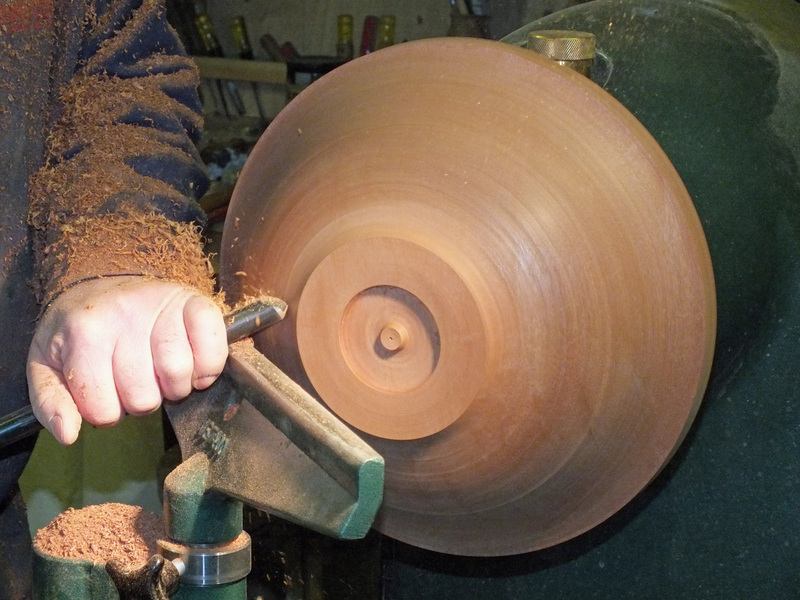 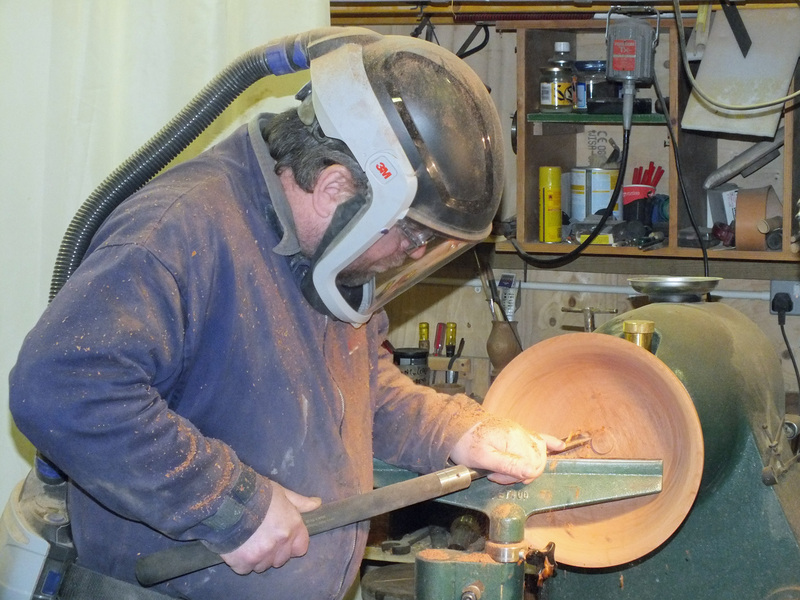 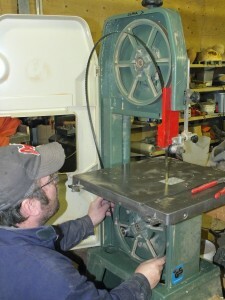 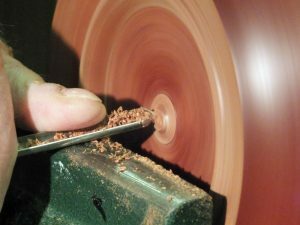 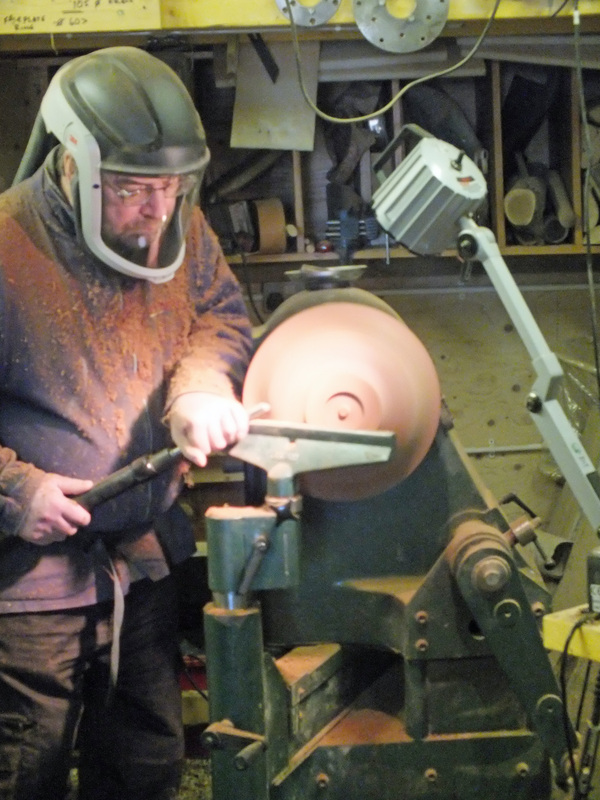 After fitting a new blade in the bandsaw he cut as large a square as he could to turn the biggest piece from and then used the rest to make a double pinch bowl for salt and pepper. 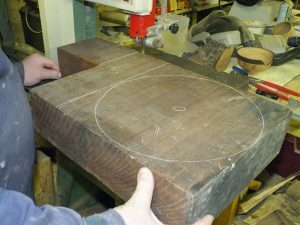 The largest piece was 10”x 10” x 4” deep. 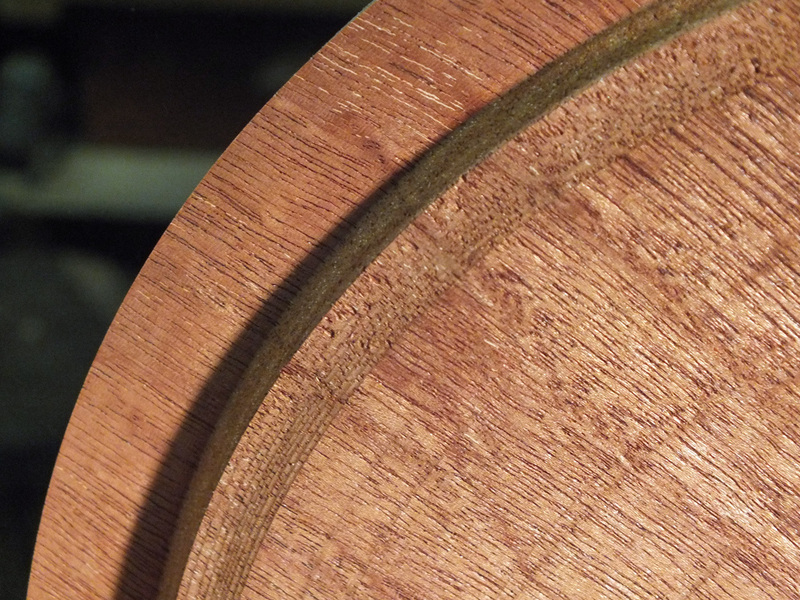 As the bowl was turned the beautiful flame effect in the timber became more and more visible. 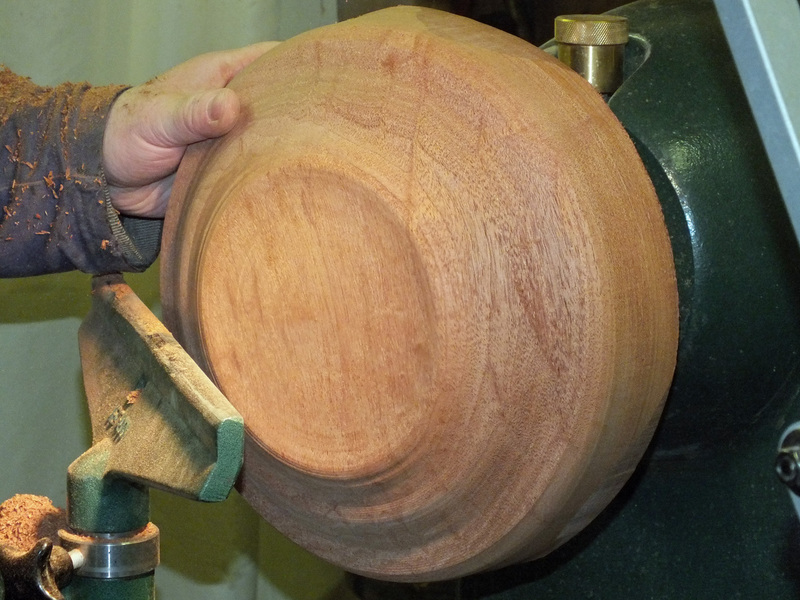 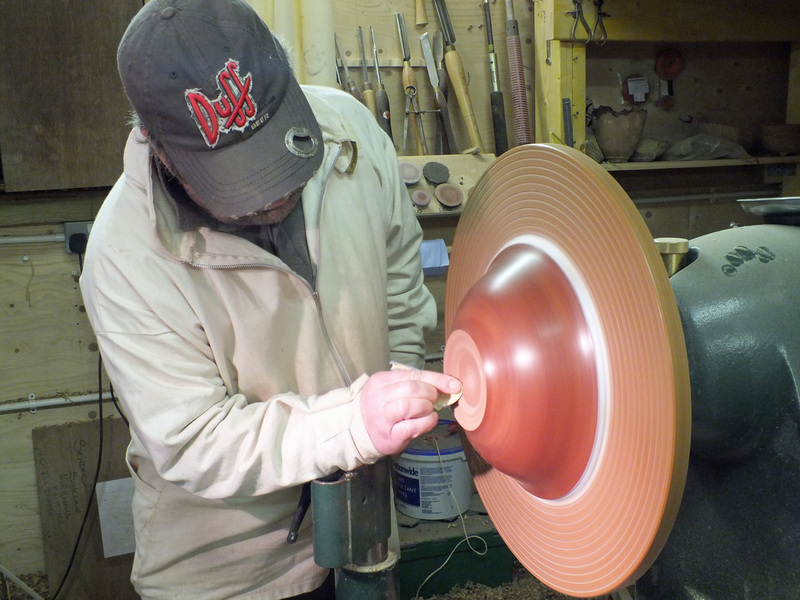 As with all bowls the first process was the actual turning, then sanding then applying several coats of oil. 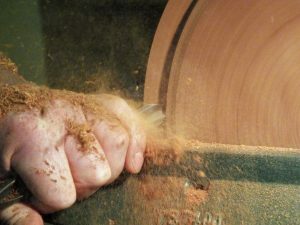 The wood was already dry, unlike most of the timber Michael uses, so the bowl didn’t need to be left for long to dry, however as it had been in a garage it was left at room temperature for a while. Lastly the base was finished, more oil was applied and it was ready for the customer to collect along with the double pinch bowl. 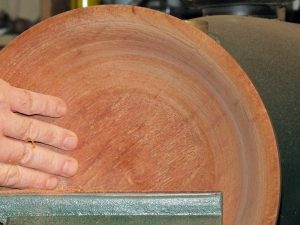 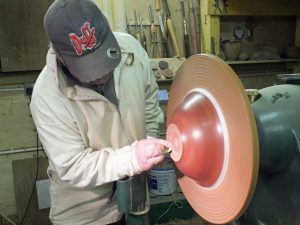 There are still a couple of smaller piece for Michael to make a couple of small bowls from for other members of the family.